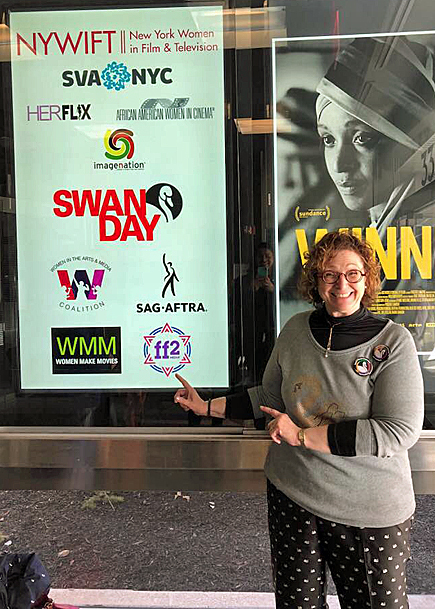 New York Woman in Film & Television (NYWIFT) hosted its 11th annual International SWAN Day program at SVA Theatre in collaboration with traditional co-sponsors HerFlix, ImageNation, SAG-AFTRA, WAM and WMM. 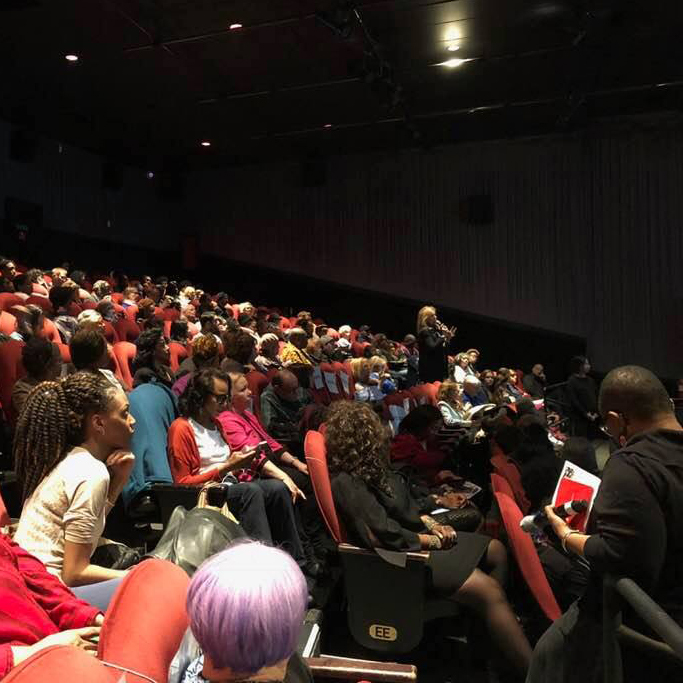 This year, for the second year in a row, AAWIC also folded this event into their annual African American Women in Cinema Film Festival. "WELCOME TO A NEW DECADE! 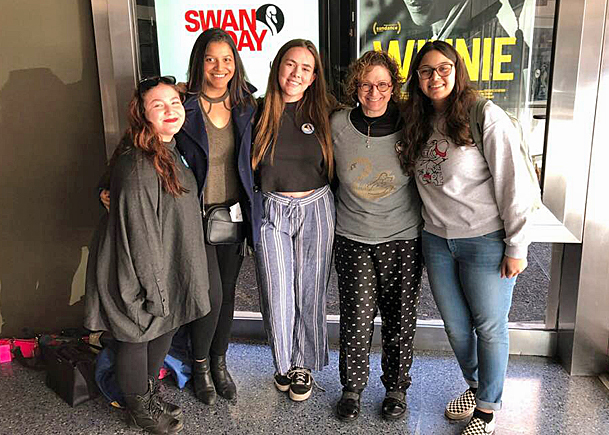 As the co-founder of International SWAN Day (in collaboration with my much-loved co-founder Martha Richards of WomenArts), it is an honor and a pleasure to welcome all of you to the 11th annual International SWAN Day. This is my sixth year here with you in Manhattan (after my move from Chicago to Brooklyn in 2012), as well as my third year as a sponsor (along with members of the FF2 Media team). Women's stories do matter! 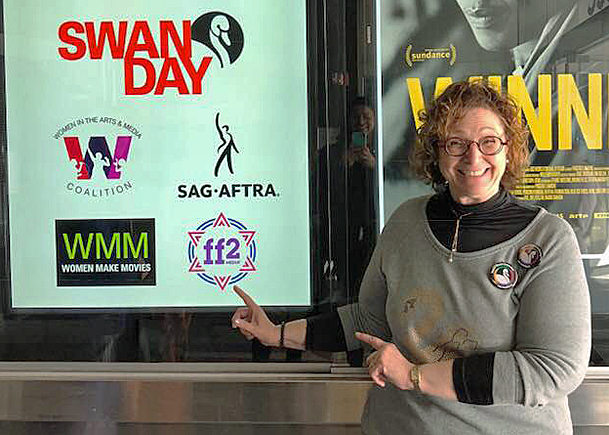 SUPPORT WOMEN ARTISTS NOW!" I would like to thank Terry Lawler (NYWIFT Executive Director) as well as Duana C. Butler (NYWIFT Program Director) for their ongoing commitment to International SWAN Day. Photos Credits: Photos of me taken by FF2 Intern Farah Elattar, and photo of SVS crowd taken by me.